30g Fibre a day – can we fix it? One thing that struck me was how tricky it can be to achieve the fibre recommendations unless you eat uber healthily and know how to cook. The current UK fibre recommendations are for us to eat 18g/dauy NSP, these were set in 1991. That’s light years ago in the world of science. Interestingly studies show that in the UK we didn’t ever meet these and averaged 14g/d. Whoops. These fibre recommendations are now being looked at. The 2014 draft SACN recommendations are we aim for 30g/d AOAC fibre. So that is measured in a different way but either way it is an increase. Why? Diets rich in fibre such as cereal and whole grains as associated with a reduced incidence of cardiovascular disease., type 2 diabetes and colorectal cancer. 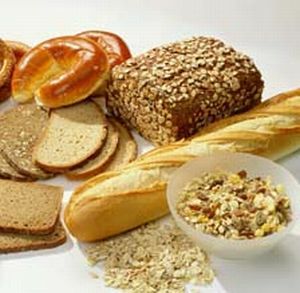 Benefits are also seen for gastrointestinal health. Sounds like a no-brainer doesn’t it. So how much is 30g/day? It is achievable if you eat a very healthy, cooked from scratch, unprocessed style of diet. Potentially needing large changes for lots of people in the UK as I meet many who do not know how to cook. Potentially able to save lives and make big improvements to health. It’s a challenge.